Kshama is the CEO of Northern Arc Capital and its founding Chief Risk Officer. Over the last decade, she has been closely involved in setting up the business and taking it to scale. Kshama has an MBA, a Ph.D. in Finance, and is a GARP certified Financial Risk Manager. 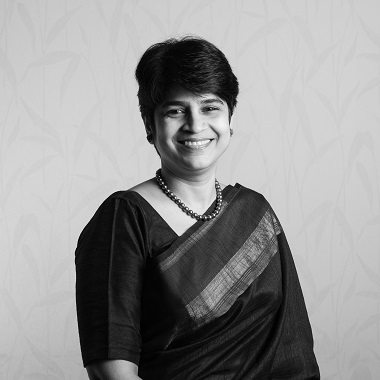 Prior to joining Northern Arc, she was the Head of the Finance Department at the Goa Institute of Management. 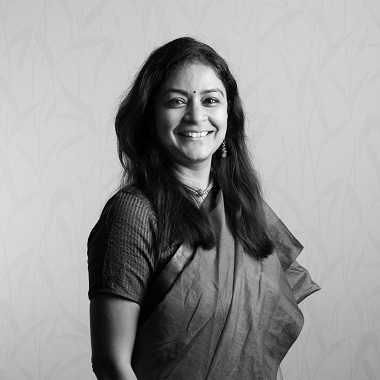 She has been a member of several committees set up by the Government of India related to capital markets as well as financial inclusion, and has extensive experience across policy, financial advisory, consulting, and academia. Kshama is an avid biker, sky diver, sailor, trekker and mountaineer. Bama is the CFO of Northern Arc Capital. She previously served as the Chief Risk Officer leading the risk function since 2012. Bama has been instrumental in strengthening the risk management approach to sharpen risk assessment of clients, and their portfolios as well as building the ability to assess dynamically the impact of risk events. Prior to Northern Arc Capital, Bama worked with ICICI Bank for 10 years starting off in the structured finance team and moving on to lead teams in corporate and investment banking in India, USA and Singapore. She has experience originating, structuring and executing complex bilateral and syndicated financing transactions for medium and large corporates across products such as cross border acquisition financing, asset financing and resource financing. She graduated with an MBA from IIM Ahmedabad and has a bachelor’s degree in commerce from University of Madras. She is also a CFA charter holder. Gaurav is the CBO of Northern Arc Capital and leads our financial institutions business as well as the non-financial institutions business with oversight on origination, credit and structuring. Over a span of 20+ years, Gaurav has worked extensively in the Debt Capital Markets space, working with clients across industries on transactions ranging from vanilla to complex. 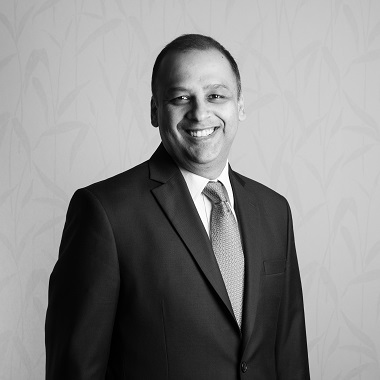 He began his career with ICICI Bank Limited and has worked in leading institutions like IDFC Bank, Barclays, Deutsche Bank, and Franklin Templeton Asset Management prior to joining us. Gaurav holds a PGDBM from SP Jain Institute of Management & Research and is an alumnus of St. Stephen’s College, Delhi. Pardha is the Chief Risk Officer of Northern Arc. He is a Mechanical Engineer and obtained PGDM from IIM Kolkata. He worked with Standard Chartered Bank for 14 years, beginning as Relationship Manager in Wholesale Banking and moving on to multiple roles in Relationship Management, Credit and Risk. 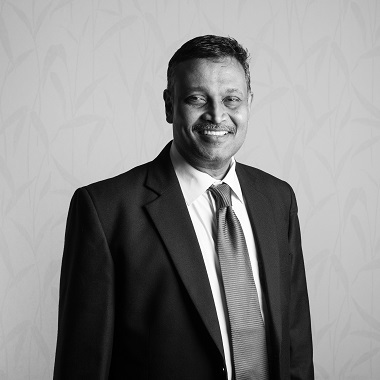 His last two roles were Chief Risk Officer for the Bank in Sri Lanka and Senior Credit Officer, Commodities Risk, South Asia. He is a sports enthusiast and enjoys traveling, running and playing golf. Kalyan is the Head of Finance & Operations of Northern Arc. He has over 21 years of experience in financial management, accounts, audit, systems and operations. 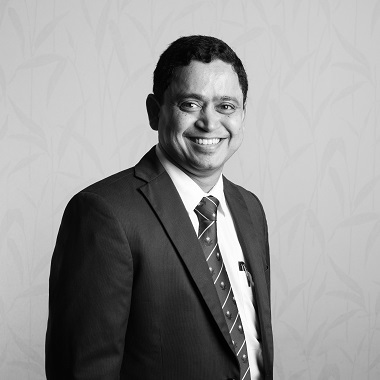 Kalyan joined Northern Arc Capital in 2009 as Head, Accounts. Prior to joining Northern Arc Capital, Kalyan worked across various industries in myriad functions in India and overseas. His areas of specialisation include financial reporting, functional consulting related to data warehousing, material accounting, cost structure development, etc. He has a bachelor’s degree in Law & Commerce from University of Madras. He is an ardent lover of cricket and is keenly interested in Vedic astrology. 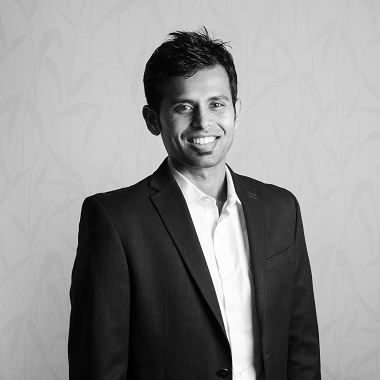 Saurabh has been the Chief Legal Counsel of Northern Arc Capital since 2012. 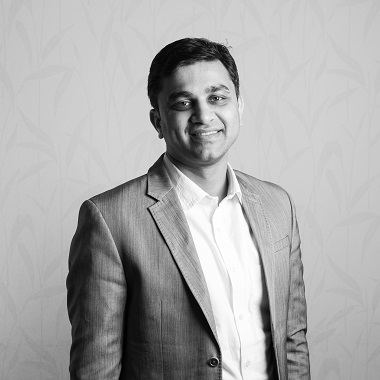 Prior to joining Northern Arc Capital, Saurabh was in private practice for a year and worked at ICICI Bank for nearly 7 years, working on a variety of matters ranging from domestic retail to leading teams for international operations in the Middle East, Africa, SEEPZ and Sri Lanka. Saurabh graduated from the National Law School of India University in 2003. His interests include trying to understand how the “market” affects the balance between efficiency and justice. Amit heads the financial institutions business at Northern Arc across sectors including Microfinance, Vehicle Finance, Small Business Loans, Housing Finance, Agri Finance, Consumer Finance & Fintech based lending. He joined Northern Arc in FY 13 to setup and scale the Vehicle Finance sector. Prior to joining Northern Arc, Amit worked with Indian Oil and M-CRIL in business development, consultancy and ratings-based roles. He holds a Master’s degree in Management from IRMA. In his free time, he likes to read and travel. Salil Nair is the Chief Technology Officer of Northern Arc Capital. 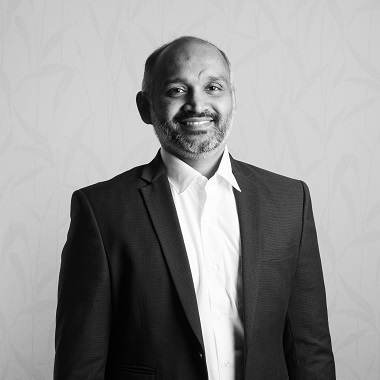 In his current role, Salil is driving technology transformation and spearheading the digital initiatives for Northern Arc Capital. Prior to this he spent 16 years at FIS where he headed the end-to-end IT Operations for India and South East Asia. He played a crucial role in implementing systems to launch banks, setting up Private Cloud for Banking applications and Data center consolidation for large financial services client. Salil has done his Bachelor of Technology in Computer Science and Engineering & Master of Science in Software Systems from BITS. He is very passionate about emerging technology and is an avid traveller. 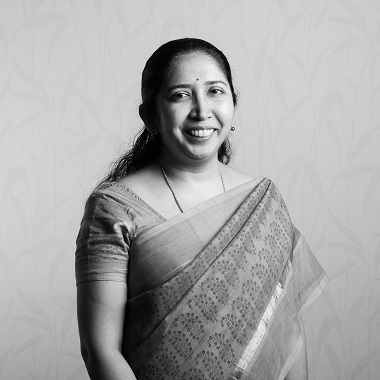 Umasree is the Head- HR at Northern Arc Capital. 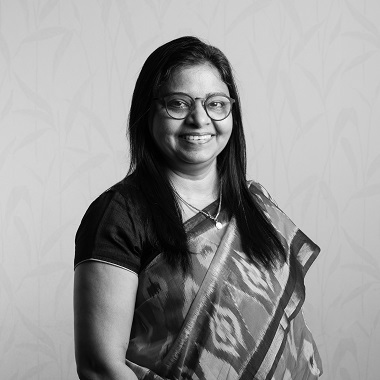 She has over 20 years of experience with a track record of implementing successful HR initiatives across organisations in various sectors and multiple locations within India and abroad covering China, Singapore, Romania and Australia. A post graduate in Personnel Management & Industrial Relations from Rajagiri College of Social Sciences Kerala, Umasree has worked with various Fortune 500 and reputed companies like Hindustan Motors, Caterpillar India (P) ltd, RPG – Food world, RPG Spencers Retail, Invensys Plc and Matrimony.com. She was awarded the 100 HR Super Achievers (India) by Times Ascent and World HRD Congress 2018. 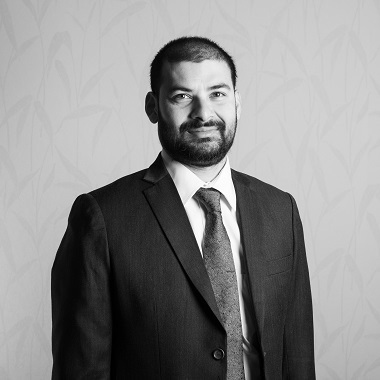 Ravi is the CEO of Northern Arc Investments and has over 13 years’ experience in credit investing, risk and fund management. Prior to joining Northern Arc, he was working in credit and rates assessment as part of the Fixed Income investment team at Invesco Mutual fund. His capital market experience also includes stints with companies such as Bharti AXA Investment Managers, JM Financial Ltd, and Merrill Lynch. Ravi is a Chartered Financial Analyst (CFA Institute) & Financial Risk Manager (GARP) and holds a Post Graduate Diploma in Finance from NMIMS (Mumbai), Masters in Management & Information Systems from Virginia Tech (US) & Bachelor of Chemical Engineering from University of Mumbai. An avid sports enthusiast, Ravi can usually be found chasing goals on the football pitch.